CP Foods has introduced new products just in time for Chinese New Year. Some of these look perfect for the annual family reunion steamboat right at home. There's also the 8-pc Jumbo Wonton - S$6.80 (U.P S$8.90) which you can enjoy without needing to first thaw the product. Just add it frozen into the soup and it’ll be cooked in a jiffy. This is the first time I've seen CP come up with a dessert product. 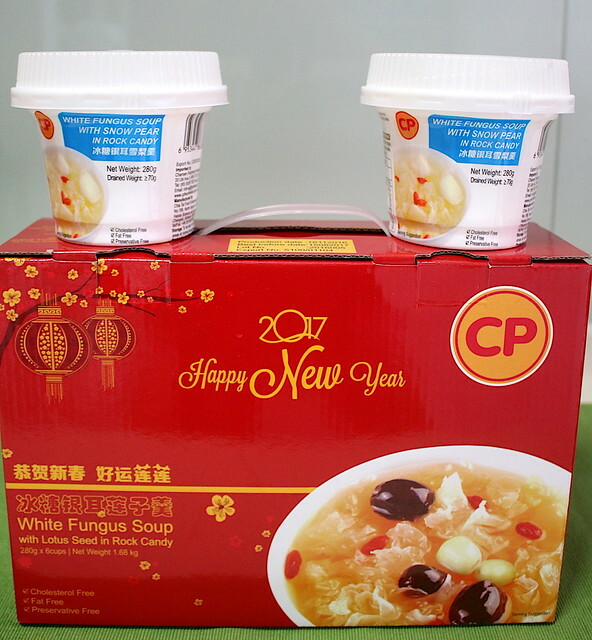 White fungus soup that's ready to eat in disposable cups. There's a foldable spoon conveniently inside too. The only drawback with such pre-cooked white fungus is that they tend to lose the natural crunch (really the main reason I love white fungus). What you get is a gooey and gummy product. You can now also shop for CP Food products online - http://cpshopz.sg - it looks like the promos are all there too. Thanks to CP Foods for sending the kit.